Mama's views on African culture, politics and so much more. Abu Nuwasi built a two-story house for himself. He decided to live in the bottom and sold the top story to a merchant. After some years, he made the decision to move out of his house and live in a far-a-way town. His hope was that the merchant who rented the upper story of his house would agree to buy the lower half so that Abu would have the means to build a new home elsewhere. But the greedy merchant refused Abu Nuwasi’s offer. The merchant hoped that if Abu could not find a buyer, he would simply leave anyway and the merchant would get the entire house for free. Needless to say, the greedy merchant changed his mind and decided to purchase the lower story from Abu Nuwasi at his original asking price and Abu was able to leave the town as planned. This entry was posted in Africa, Children, Fables and Folktales and tagged Africa, African, Children, Fable, Folktale, kids. Bookmark the permalink. Enter your email address to subscribe to Mama's blog and receive notifications of new posts by email. 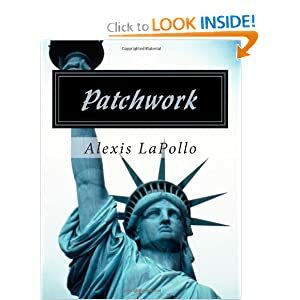 Buy Patchwork and the author will donate to Mama Afrika!